Nothing interesting ever happened in Hawkins, Indiana. Until November 6, 1983. Now, will byers has gone missing, and it's up to you to find him. Based upon the Stranger Things Netflix series. Love the TV show so had to get this and it doesn’t disappoint was playing for hours! Thanks!! Amazing board game! Love the cards and the genius figures. Love this !! 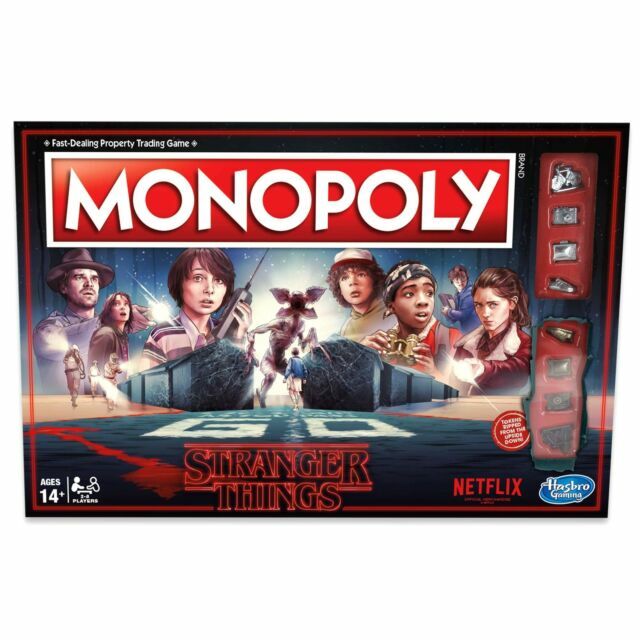 Love the TV show and the monopoly has done really well to include some of the TV shows best scenes.